Celebrating its 10th birthday, Flipkart is thanking its customers with, what it calls the biggest sale of the year. The Big 10 Sale, which will kick off on midnight of May 14, will continue for five days until May 18. And according to the e-commerce platform, what makes this particular sale stand apart, is the 10 Big benefits on offer for its customers, unlike normal sale events which only have discounts. The sale is applicable for all categories from fashion to the latest smartphones, electronics, smart televisions, home decor and home appliances. Flipkart’s Big 10 sale will be accessible across the Flipkart website, mobile site, and app. Flipkart reveals that the “never-before” deals will include offers like the chance to win international trips, gift vouchers every hour, chance to win free shopping, up to 90 percent off deals, cashback on PhonePe, among other things. This sale will also have no-cost EMIs, product exchange, assured buy back, and other finance-based offers. Besides, Flipkart will be providing special offers for HDFC card holders. An instant 10 percent discount will be given to customers who make purchases using an HDFC Bank Credit Card. Announcing the sale dates, Kalyan Krishnamurthy, CEO, Flipkart said, “Flipkart’s 10 years have been all about the Indian customer and we’ve received an immense amount of love and support over the past decade. The Big 10 sale is our biggest by far after Big Billion Days and it’s our way of thanking customers for that overwhelming response. 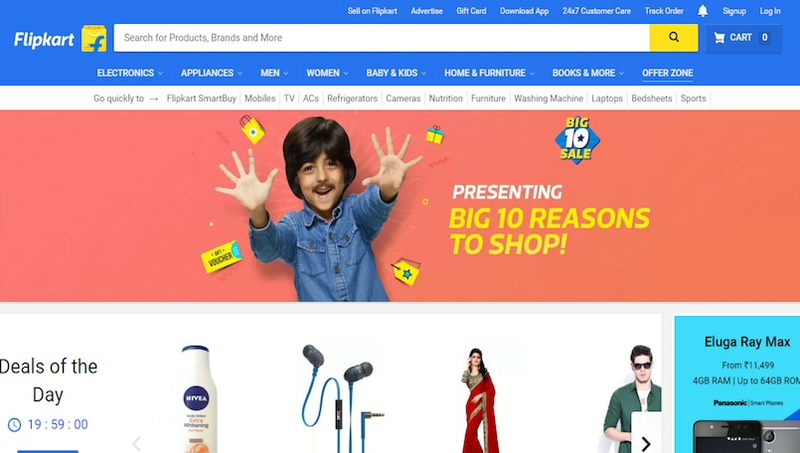 Celebrating it’s Big 10 anniversary, Flipkart has kicked off some massive sales on the platform, which it also touts as the biggest sale of the year. The Big 10 Sale started on May 14, and will continue till May 18. Among varying discounts and deals across differnet product categories, Flipkart is really making the sale stand apart by offering the iPhone 7 at the ‘lowest ever price’, and holding the ‘biggest ever sale’ of Xiaomi Redmi Note 4. 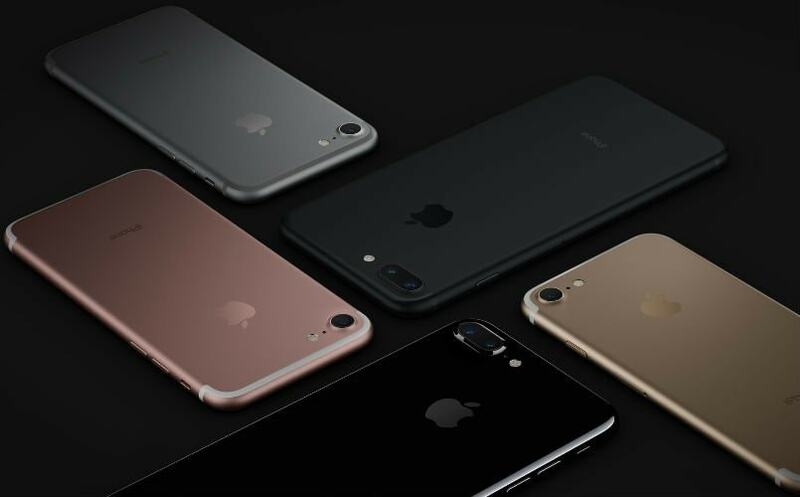 According to Flipkart’s current offer, the black iPhone 7 32GB variant, which was otherwise priced at Rs 60,000, is now available for Rs 43,999. It’s a flat discount of about Rs 16,000. Similarly, all other iPhone 7 variants, in all storage and color categories, including ProductRed, have all seen some dramatic discounts. In addition to the upfront discount, buyback offers are also available, where you can exchange your old smartphone and get up to Rs 20,000 off. Google Pixel XL, as well, is being sold at exciting discounts. From its original retail price of Rs 67,000 for 32GB variant, the smartphone is now available for Rs 53,999 on Flipkart. You can also exchange your old smartphone and get up to Rs 29,000 off. Additionally, while Flipkart and Xiaomi haven’t revealed much details on this, Flipkart claims, May 15 will mark as the ‘biggest ever sale’ of the Redmi Note 4 smartphone. At the time of writing the story, the smartphone was still listed ‘Coming Soon’ on Flipkart, however, we are anticipating an open sale for the day to take place. Further, Motorola Moto E3 Power, is now Rs 1,000 cheaper, down from Rs 7,999 to Rs 6,999. And in addition to that, Flipkart is offering up to Rs 6,500 off on an exchange deal. Besides that, there are some more discounts on popular budget smartphones like the Lenovo K5 Note with 4GB RAM and 64GB ROM variant is available at the sale for Rs 11,499, with up to Rs 10,500 off on exchange. Under the sale, the Samsung Galaxy On5 is now available at Rs 6,490, and the Samsung Galaxy On7 at Rs 7,990. Flipkart’s giving Rs 5,000 off on reliable smartphone variants of Oppo F1 and Oppo F3 under exchange. There’s a Rs 4,000 exchange offer on Vivo V5 and V5 Plus models. Also, Oppo and Vivo phones are protected under Flipkart’s Buyback Guarantee offer. Apart from smartphones, there are some sweet deals on smartwatches too. To begin with, the Apple Watch Series 1 and Series 2 are available at a discount of Rs 5,000. As for today, the Samsung Gear Fit 2 is available at Rs 8,490, down from Rs 15,000. The Titan Juxt Pro is now discounted to Rs 9,995, down from Rs 22,995. The Fossil Smartwatches, which is the Marshall and Q Founder, are now available starting Rs 13,295. The Asus Zenwatch 2, on the other hand, is available at a discount of 27 percent, at Rs 7,900, down from Rs 10,900. Also, Canon EOS 1300D DSLR Camera (Body with EF-S 18-55 IS II) is available at a special discount, now selling at Rs 28,495. GoPro Hero 5 has also seen a decent discount, with the sale price being Rs 30,400. There are some interesting offers on Intel Core i3 Laptops as well, starting Rs 20,990, with upto Rs 4,000 extra off. Current time: 04-26-2019, 09:12 AM Powered By MyBB, © 2002-2019 MyBB Group.